Mangaluru, Mar 20, 2018: A man about 35-years-old, was killed on the spot and two others suffered serious injuries after lightning struck them at Punchapadi village in Puttur taluk on March 19, Monday. The deceased has been identified as Dhananjaya Mugera (35), a resident of Nekki near Kumaramangala. The injured are Geetha (25), the sister of Dhananjaya and Kunda Mogera (75), Dhananjay’s uncle. Both have been admitted to a private hospital in Puttur. Meanwhile, a huge tree was uprooted near Periyashanthi, disrupting the vehicle movement between Dharmasthala and Subramanya for over three hours. It took nearly three hours for the forest department staff to clear the road. The gusty winds also damaged the temporary shelter of Mahalingeshwara temple in Puttur and the roof of craft mela in the vicinity. The rains accompanied with winds also disrupted power supply in the Puttur region, after a tree fell on power supply line. Heavy rains were reported from the various taluks of Uttara Kannada district on March 19, Monday. A woman from Siddapura taluk who had gone to Sagar taluk in neighbouring Shivamogga district was struck dead by lightning. Large-scale crop damage has been reported in Banavasi hobli of Sirsi taluk. Scattered rains were reported from several villages and Channagiri town in Davangere district over the last couple of days. The showers, a total of 137 mm in the taluk, brought smiles on the faces of farmers. Heavy rain, coupled with moderate wind and lightning, lashed Hubballi city for around one hour on March 19, Monday evening. Rainwater overflowed on the road even as bike riders and pedestrians rushed for cover. On Sunday evening also, Hubballi received moderate showers for nearly half an hour. Heavy rains lashed Dharwad city too last evening, giving respite to the people from the scorching heat. The city received rain for the third consecutive day. It rained for more than one hour. Almost all the major roads in the city were waterlogged and vehicle users had a tough time reaching their homes. Branches of trees fell on power lines in several areas, resulting in power-cut for throughout the day. Rural parts of Dharwad taluk too received good rains. There was downpour in Belagavi also. Showers lashed Hosadurga town and villages in Hosadurga taluk of Chitradurga district too. 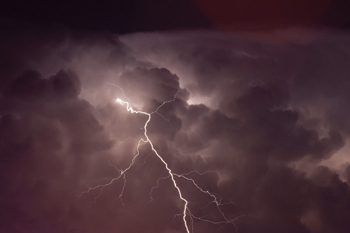 Two persons were struck dead by lightning in Shivamogga district. Moderate to heavy rain lashed various parts of Malnad region. Netravati (38), native of Manmane village, died when she was struck by lightning at Hedagodu near Talaguppa in Sagar taluk on Monday evening, while returning home from the farm. Ramappa (55) died after he was struck by lightning in front of his house at Bilaki village near Ripponpet, Hosanagar taluk in the district. Thirthahalli, Hosanagar, Sorab and Sagar received good spell of rain. Coconut trees and jackfruit trees caught fire due to lightning at around 3.30 pm in Hosanagar town. Shivamogga and Bhadravathi cities also received moderate rain. Several parts of the Chikkamgaluru and Kodagu districts received heavy showers.The showers, coupled with gusty winds, resulted in loss of property. A bridge under construction on national highway-173 near Butanakadu collapsed due to the rain. Kodagu district received heavy rains. There was loss of crops in Hakattur, Bilogere and Kaggodlu villages.